All bookings are secured with a £50 non refundable deposit. Full payment is then required 4 weeks of the date of your travel. All bookings include a £50 damage bond which is refunded back to you within 24 hours of your departure following satisfactory checks of your caravan for damage/mess etc. We urge all of our guests to please love and look after our caravan just as we do. Lead hirer must be a minimum of age 25 plus. Please see below our terms and conditions for caravan hire which we recommend you take the time to read, if you have any questions please don’t hesitate to get in touch with us. 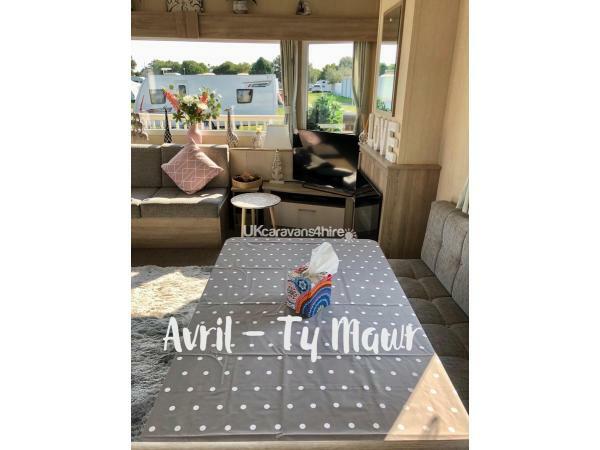 First of all, we are a family who dearly love our caravan and try to create as many happy memories as we can, we encourage everyone to have a great time on your holidays here at Ty Mawr. 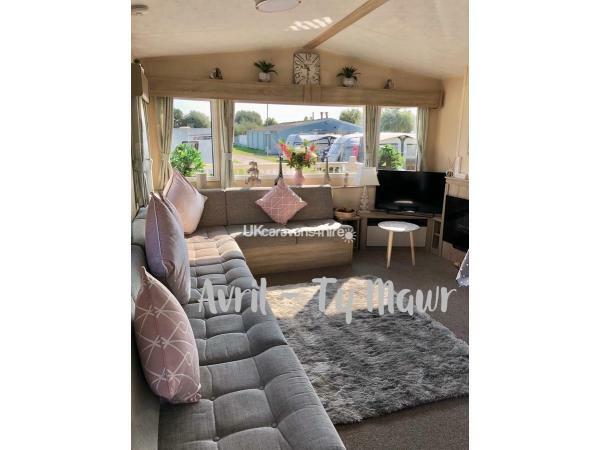 At the same time, we ask if you could please respect and leave the caravan in the same condition you found it in, we would be forever grateful. •	An initial non-refundable booking deposit of £50.00 is required and is needed to secure your booking. All booking deposits are non-refundable. •	There is a separate damages bond of £50.00 which must be paid with the balance of your booking. Once the caravan has been checked and is proven to be satisfactory, your £50.00 will then be refunded to you within 5 working days. We will contact you after completion of inspection to arrange payment of the refund. For any damages, lost items (including keys), soiling or mess, all or part of your damages bond may be withheld. Should any damage exceed the £50 damage bond, then we will be left with no choice than to invoice you for any charges above and beyond the £50 bond. •	Full payment of your holiday is required to be paid by four weeks of the start date of your holiday. Payment can be made by BACS into our bank account and we do accept payment plans. Please contact us if you wish to pay by instalments. If there is less than four weeks before your holiday starts, full payment will be required at point of booking. •	In the event of cancellation, the £50:00 booking deposit is non-refundable. Additionally, should you cancel within four weeks of your holiday start date, the money can only be transferred to a different date and will not be refunded. 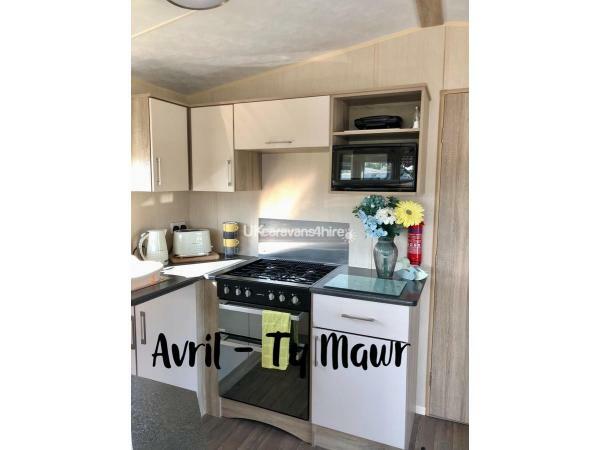 	You can take possession of the caravan from 2pm however, some flexibility can be offered here. 	Please respect the park rules and other park residents, at no point should there be any more than 8 people in the caravan at any time. Should this be proven to be abused, the park security will ask you to vacate the caravan due to its own park rules. 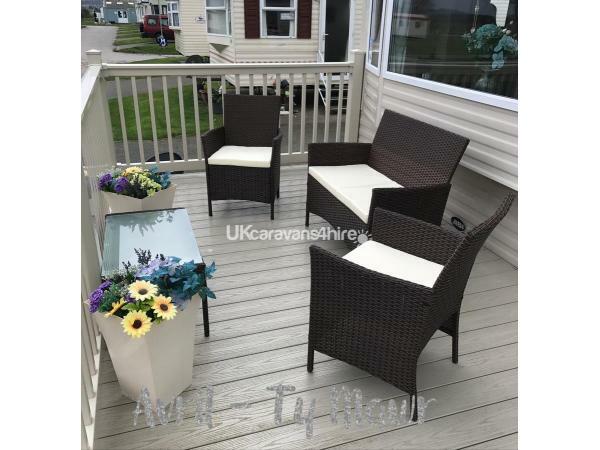 	Please do not bring bicycles into the caravan, instead we kindly ask you to lock them to the decking railings outside of the caravan. 	No pets or no smoking allowed in our caravan. This will result in the loss of your damages bond and being asked to vacate the caravan. 	Fair use of the electricity and gas is included, please note that no hybrid cars may be charged through the caravan. 	Holidays cannot be transferred to another person. Only those named on the booking form will be allowed in the caravan. This means that if you must cancel, you cannot sell the holiday to someone else. 	When it’s time to say good bye, check out of the Caravan must be no later than 10am on your departure day. 	Please respect our caravan. Tidy up the caravan and we ask you kindly if you could please empty the bins in the park skips provided and ensure that no items are missing. The keys must be returned to the custodian from which you received them. 	Park facilities may still be used on the day of departure. Please be advised that we are fully booked during the main 6 weeks school holidays - apologies. 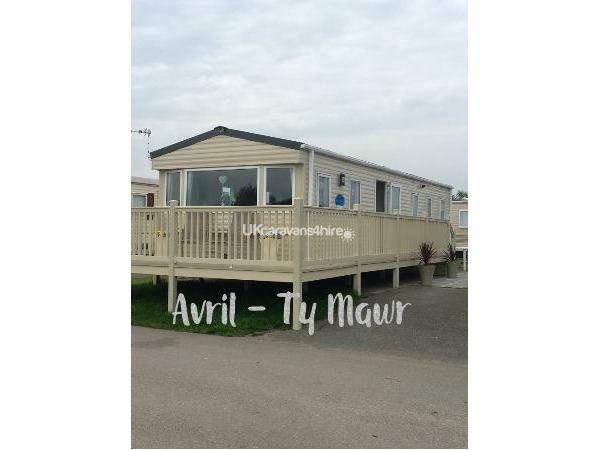 Hello and welcome to our family’s caravan hire situated in the lovely, large, friendly family resort of Parkdean Resorts, Ty Mawr Holiday Park, Towyn, North Wales. 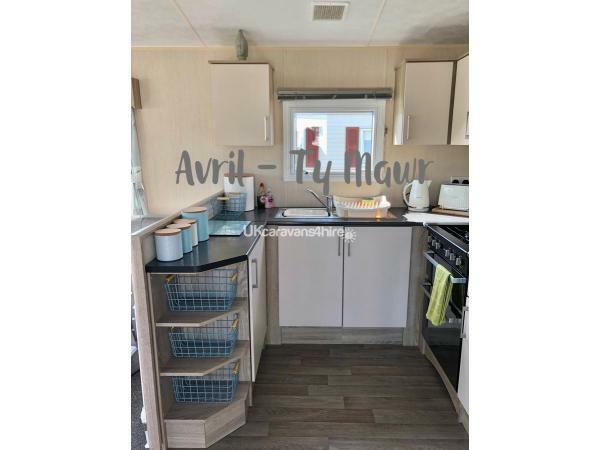 We are looking for people who want to love and enjoy a caravan holiday like we do and who will respect our holiday home. We like to think we go the extra mile to do everything we can to look after our lovely guests. 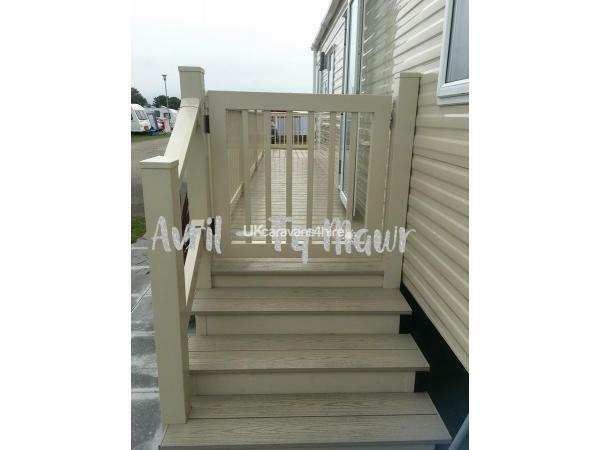 >Large size balcony/veranda with lockable gate for the little ones. >Seating area on the balcony. >Car parking plot on the side of the caravan. >Central heating and double glazed. >Large TV with built in Freeview and DVD player. >Everything in the kitchen you would expect with a little bit more. >1 toilet room and 1 bathroom with a Large shower. >1 double master bedroom with TV. >2 twin bedrooms - 1 with TV. >All beds are made up fresh for your arrival. >Night lights in both twin bedrooms. >Hair dryer, Iron & Ironing board. >Family DVD's, games and toy box for the little ones. >Dish cloths, fairy liquid, bin bags, tea towels and toilet rolls are all provided. 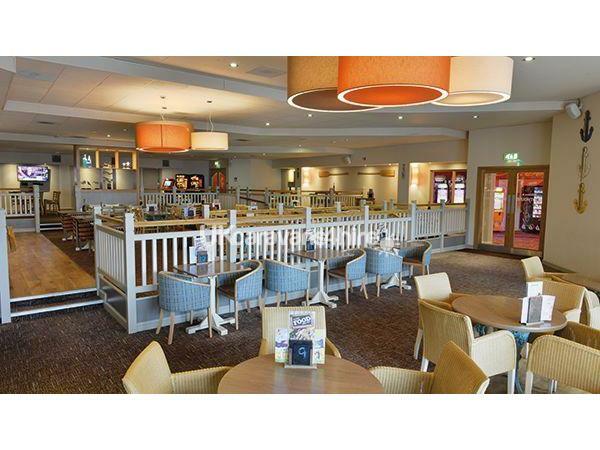 Our prices will never include entertainment passes - these can be purchased through the reception team on site and are required to use the swimming pool and to access the showbar, arcades, restaurant and sports bar during the evenings. Bookings are secured with just a £50 deposit. Payment plans are also accepted. *Restaurant serving breakfast, lunch and dinner. *Evening cabaret show bar, artists, party dances, character fun, bingo etc. 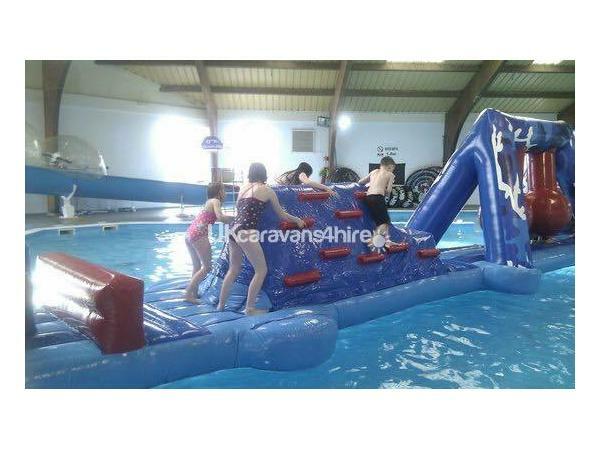 *Indoor swimming pool with slide – offers inflatable fun for an additional charge. 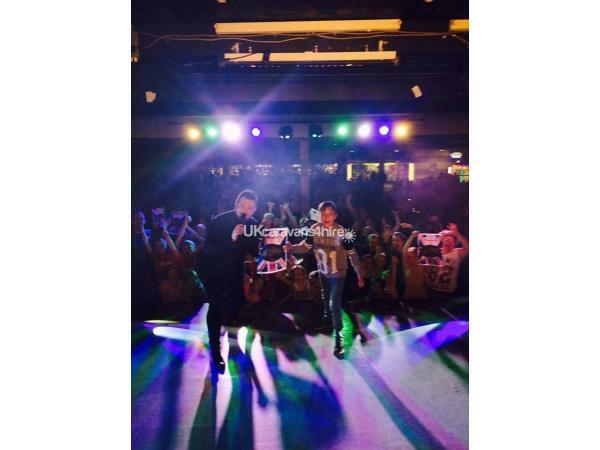 *Day & evening entertainment for all ages hosted by the entertainment team. *Amusement arcade with pool tables. *Ideal grounds for bicycles, scooters etc. 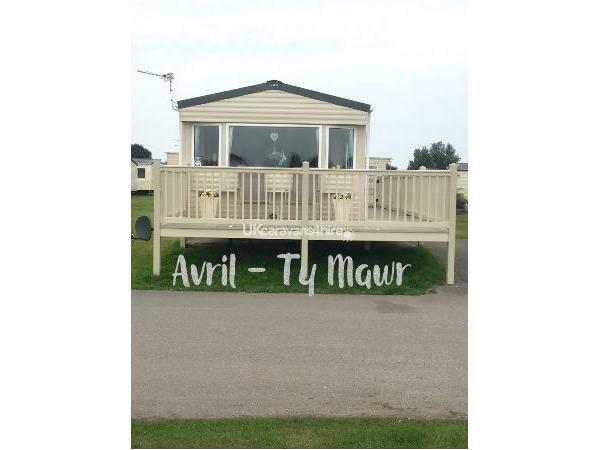 ~15-min walk to Towyn market, car boot, fun fairs, park and the beach. ~Sorry - No smoking, no pets allowed and lead hirer must be age 25 years or over.